or try downloading the real media treeprobe.rm file for external play. Narrated by Dan Winter, the voice you hear in the beginning saying:"there the Schumann Resonance" is Dr.Saskia Bosman- see: www.spiralsofevolution.nl - She has worked extensively with lo frequency Earth measurements, Schumann vs EEG etc, and she ( sothis@euronet.nl ) is the recommended source for the Hemp Fibre Probe (shown) and the Gold Egg Spheres- both optional input transducers for HeartTuner-the preamp used. Simple power spectra 0-20hz of highly amplied electric field (capacitively coupled) of the tree- or anything alive - reveals its electrical ability to organize its field- and BE ALIVE! 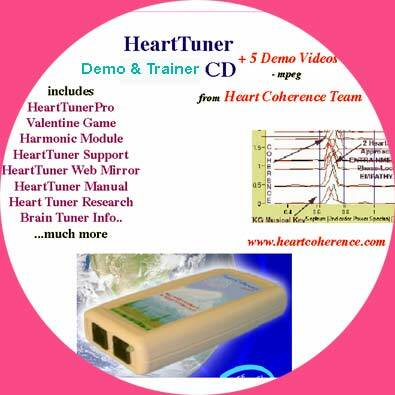 - Acknowledgement to Dr.Phil Callahan-for originally pioneering this technique- without spectrum analyzer - he used just his small liquid crystal portable oscilloscope. click here for the Main Implosion Group - Article Index.